Today we have a highly detailed guest post covering the 3PAR remote copy failover and recovery process. If you fancy writing a guest post check out this post. A unidirectional 1-to-1 remote-copy configuration is composed of one remote-copy pair. Each storage system in the pair plays only one role: one system is the primary system, and one system is the backup system. 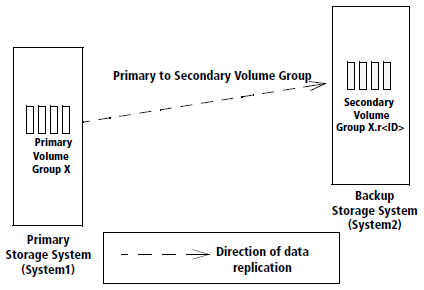 A bidirectional 1-to-1 remote-copy configuration is composed of one remote-copy pair.Each storage system in the pair functions as both the primary and backup system and each system contains both primary and secondary volume groups. 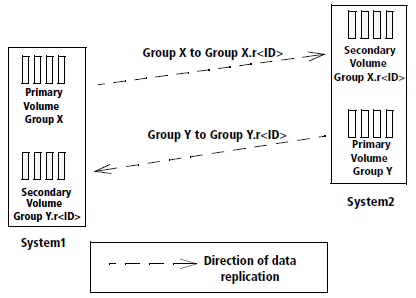 Each system provides backup for the other, according to the direction of replication specified for each volume group. Below figure illustrates a bidirectional 1-to-1 remote-copy configuration. After 60 seconds, the system marks the sending links as down. During this first of all we have to stop the remote copy replication group “DRTEST” to do the testing. From the 3PAR management console, click on remote copy from the left pane. After this click on the groups and verify the replication group listed on the right side as shown below in picture. Once clicked on Stop Remote Copy Group(s) option a pop-up window as shown below will open which will state that remote copy mirroring will be stopped. Click on OK to proceed. Once we stop Remote Copy Group, replication from source to target will be stopped. Note:- After this failover will be executed for the selected group. The failover operation changes the role of secondary groups on the backup system (i.e. System-B) from “Secondary” to “Primary-Rev”. 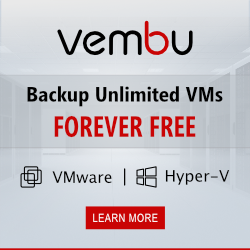 Any LUNs (VLUNs) associated with the volumes in the selected groups become writable by hosts connected to the backup system (backup system is System-B in our case). These VLUNs will be in writable permission from both side 3PAR so we must ensure that no write operation on VLUN from primary site. As per picture below, click YES to continue and the failover operation will start. Now there should be Group state as “stopped” as per below picture. Replication status in the table will be as “Stopped” and Backup system (i.e. System-B) will show its role as “Primary-Rev” with DR state as “Failover”. This completes all failover steps. At this time we have to right click on the replication group which was failed earlier (in our case it is “DRTEST”) and click on “Recover Remote Copy Group (s).. This will copy data / initiates reverse replication and synchronize the delta changes from the reversed volume groups on the failover system (System-B) to the corresponding volume groups on the recovered system (System-A). Note: – The recovery operation can be executed only on groups that have successfully completed the failover option. Once clicked on OK prompt, there will be one more pop-up, press yes now. Important to note that VLUNs will not be writable now on source system “System-A” and it will be in writable mode on backup system “System-B”. Once the recovery is completed for the remote copy group then we must restore back the actual state of replication group. I.e. bring the replication group (in our case it is “DRTEST”) back to “System-A” as primary role and again replication from the primary system (System-A) to backup system (System-B). Now the system should be able to see the status of restored replication group as it was in actual state. Below picture shows the actual status with System-A system as Primary and normal state and replication pointing from System-A to System-B. Be notice a failover is normal only used when your primary site is down. So when use a “planned” failover, host(s) MUST be down during this. As soon you stop the RC group. And a failover command is given, both array’s present the LUN, and cause data inconsistent at both sides in less then a second. Same apply for restore command, this is with hosts down. Off course you can use other method to return to the original site without take the hosts offline. I hope this sound as expected for you. Thanks for the feedback. Yes good tip on the need to shutdown when testing. Please note that the IMC (Inform Management Console) has been superseded by SSMC (StoreServ Management Console. IMC is a fat client application. Some more recent 3PAR features like File Persona, 3DC Peer Persistence etc. cannot be configured and controlled from IMC. The last supported 3PAR OS version is 3.2.2. SSMC has a user friendly HTML interface and can support all 3PAR systems running 3PAR OS 3.1.3 or higher. Since most 3PAR systems are nowadays managed with SSMC it would be great to see your post with SSMC used. new article with SSMC is also published now as per feedback. The status of the luns during replication shows Read/Write in both source and DR. Even after failover it says Read/Write. is this valid? or just an incorrect state? I was reading the RC 3.3.1 document and found following contents not according with your description “Asynchronous Periodic Mode for 1-to-1 Configurations”. • After 5 seconds, the system detects the target failed. This is an unusual situation as normally you would want both arrays to know about the change. Could you not establish a connection whilst you made the deletion?